Chattanooga Hydrocollator Moist Heat HotPac is designed to fit every body contour. It provides up to 30 minutes of deep soothing, moist heat. 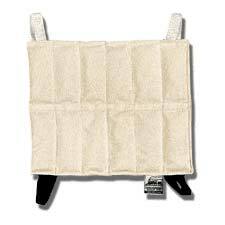 Included brown tab on hotpac offers easy rotation in busy clinics. This cost effective hotpac provides hundreds of treatments.